Meet Jeannie Mai and Mario Lopez's friends from the East Valley Animal Care Center and Found Animals Foundation! The East Valley Animal Care Center is located at 14409 Vanowen Street, in Van Nuys, Calif. The Found Animal Foundation is a non-profit dedicated to finding innovative, business-minded solutions to minimize the number of animals in shelters. 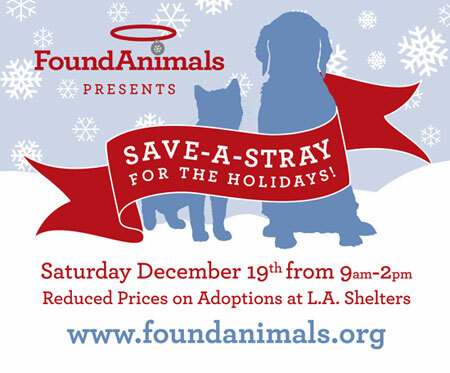 Found Animals is hosting its second annual "Save-a-Stray for the Holidays" event in L.A. on Dec. 19. The event will feature hundreds of great animals waiting to find good homes, and pet matchmakers will be on hand to assist in finding the perfect pet for you. Visit FoundAnimals.org for details.